Excellent quality sheath for the Bravo-1 or similar. 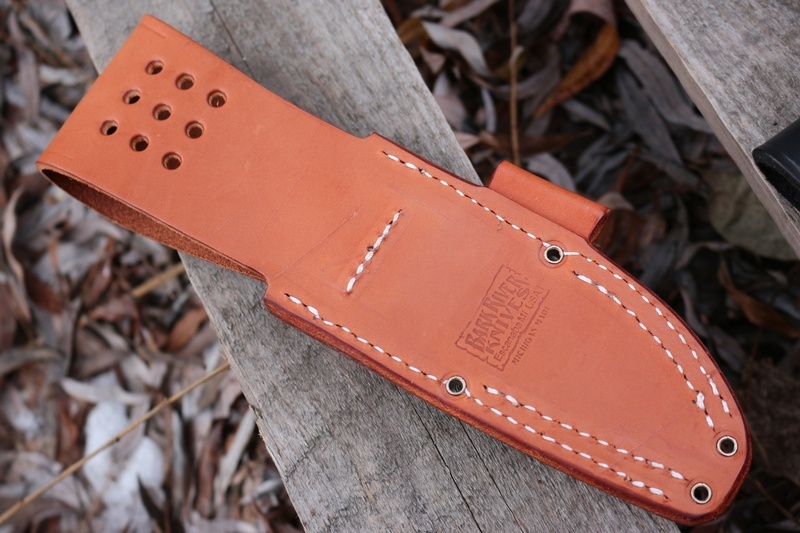 Heavy full grain leather, HT threads and rivets, firesteel loop, large belt loop and lashing holes. 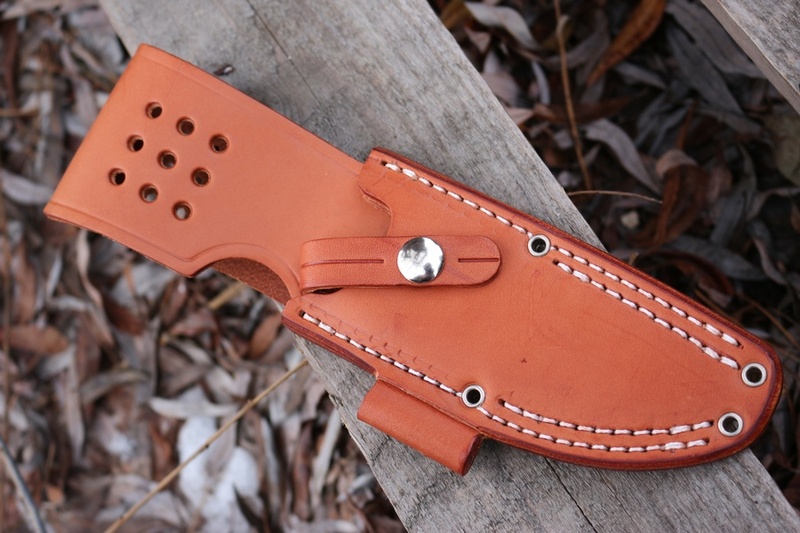 Purchase through PayPal by using the "Add To Cart" button above or use the form below to order the Barkriver Bravo-1 Replacement Sheath Brown Right or Left hand . Feel free to contact us if you have any questions about the Barkriver Bravo-1 Replacement Sheath Brown Right or Left hand .